After attending a very successful Merry SM Christmas launch at SM City Fairview, another SM Supermall branch recently unveiled their awesome theme for the family and the kids this holiday season. SM City Sucat launched their #SMSucatYohoHoliday last Sunday at the Atrium B with celebrity guests Christine Jacob-Sandejas and Danica Sotto-Pingris. I also spotted fashion blogger Verniece Enciso together with SM Sucat marketing and management team. The theme for this year's #MerrySMChristmas is all about sea and the pirates, not the bad pirates in the movies but a fantasticone like pirate Santa! Excited to see what's up this holiday season at SM City Sucat? Click CONTINUE READING and smile! This meaningful program started with the Manila Youth Orchestra singing joyous hymns of Christmas. I honestly liked how they sang the Christmas medley songs like Jingle Bells with matching pirate costumes and dance moves that added sparks to their presentation. It feels so good to hear Christmas carols like this a month before Christmas and I salute SM City Sucat and the Manila Youth Orchestra for that wonderful performance! 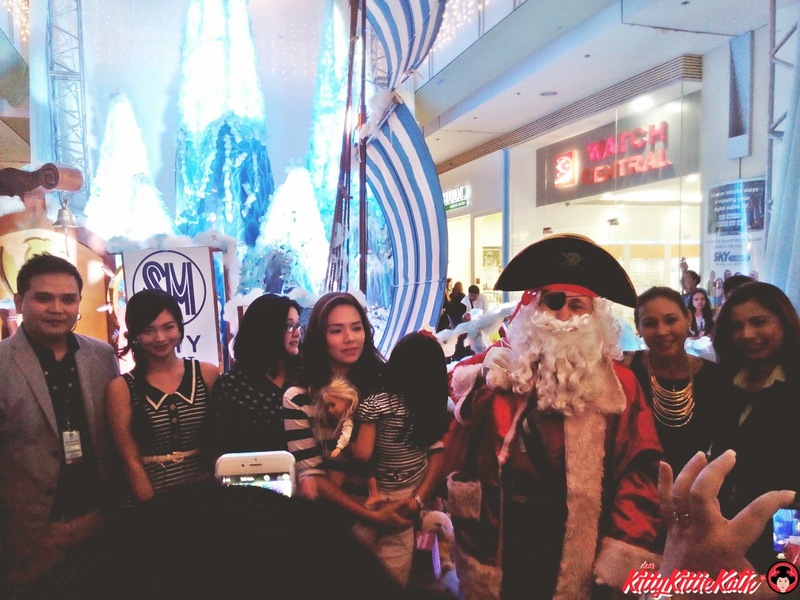 After the presentation, the grand unveil of SM City Sucat's Merry Sm Christmas Yo Ho Holiday came next. Families can sail to an awesome adventure aboard the giant pirate ship at SM City Sucat’s Atrium B and capture the fun in dozens of photos with a beautiful snowy mountain as their backdrop. They can also take greeting-card worthy photos with the majestic 30-foot Christmas tree decked in twinkling lights and baubles of different colors. Even Santa Claus himself is joining in on the fun, ready to meet and greet his fans, both young and young-at-heart. This is what happened after the unveiling, celebrity guests posed beside Pirate Santa. My apologies for the lighting :( All are excited to have their photos and selfies taken with Pirate Santa! Hohoho! 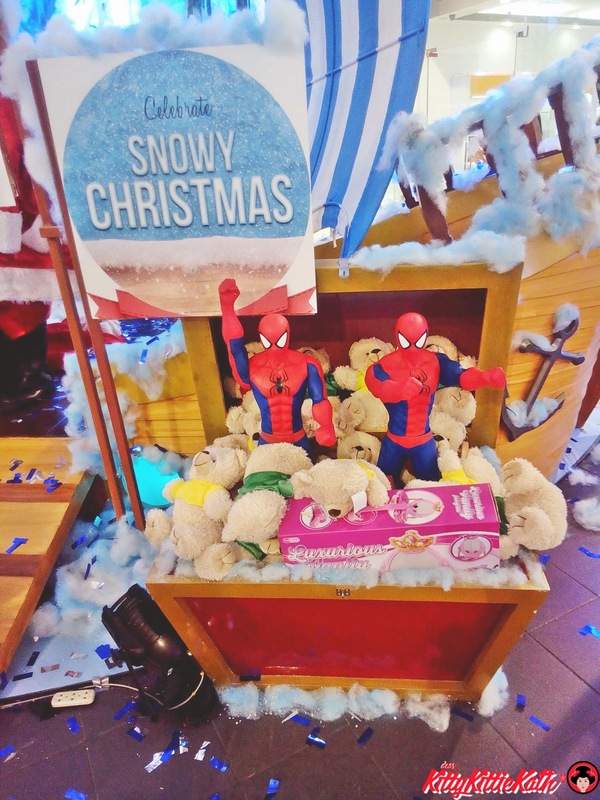 Celebrate a Yo Ho Holiday at SM City Sucat! Don’t forget to post about your treasured experience online using the hashtags #SMSucatYoHoHoliday and #MerrySMChristmas. So what are you waiting for, celebrate Christmas at Sm City Sucat and feel the snowy Yo Ho Holiday while shopping for great deals and gifts this holiday season. Thank you for having me!